1. Since my 25th birthday was a few days ago, I now have officially lived more of my life with diabetes than I have without. 2. In the Jewish tradition, your 13th year is when you have/become a Bar or Bat Mitzvah. 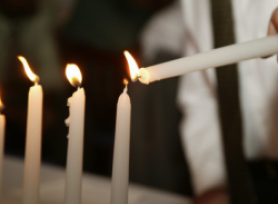 It’s a religious ceremony and celebration of a person reaching maturity and accepting the responsibilities and commitments of the Jewish faith. After the religious service, most people have a party or some sort of celebration. Where I am from, a typical component of the party was the candle lighting ceremony. During this time, the Bat Mitzvah celebrant would recognize and thank all the people who helped her and who have a great influence in her life. The person is called up to help light their candle. In recent years, it has taken on the tradition of being done in the form of short poems. So in honor of my Diaversamitzvah (diabetes+anniversary+bat mitzvah), I would like to take this opportunity to thank in a similar manner, all those who have helped me during the past 13 years. Type 1 diabetes came my way. I know that I’ll never let my diabetes win. You’ve always been by my side, even when it was no fun. Diabetes won’t stop me, this you helped me to see. You are my best friend, your loyalty is true. You never hesitated to come to my aid. Your loving concern is clear in all that you do. You’ve helped me so much, through the good and the bad. For perfect numbers, you help me to strive. Without you I know I’d be stuck in a slump. Having you to help has been pure heaven. The highs and the lows, you’ve all helped me through. A favor you’ll do even without asking why. Your virtual support has helped me to shine. Whenever I’m low, you always have my back. because without you, insulin, I’d certainly be screwed. A greater love/hate relationship, you’ll never meet. to my broken pancreas, someday that will change. 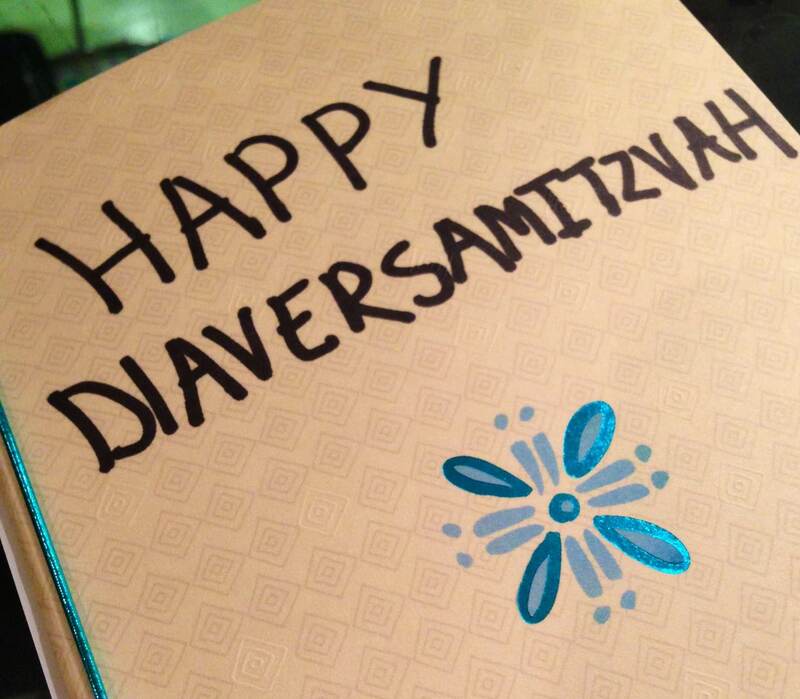 Happy Diaversamitzvah to me on this day! Happy and healthy, this is the way I will stay! You are so creative! Congrats on all the hard work 13 years represents. This is awesome! Congrats on 13 years.